It is important to note that everyone wakes up spontaneously many times during the night. So, even if your toddler is ‘sleeping through’ the fact is that he is probably waking up at least 4 – 5 times a night. Most of the time he will simply stir, turn over or call out, but will be able to go back to sleep. Should he wake fully, he will be able to go back to sleep independently by using comforting and familiar methods that he knows such as finger sucking, holding onto or snuggling down with a security object. Poor sleepers, however, wake in the same way, but are unable to self soothe to go back to sleep without some sort of external intervention from a care giver such as being stroked or tickled, given a drink or having a parent sleep alongside them. These children therefore have difficulty staying asleep and wake up frequently in the night. 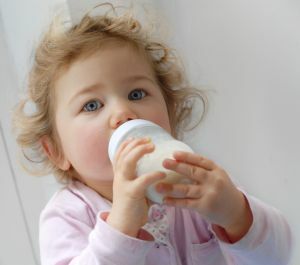 As long as your child is not ill, it is important to know that toddlers do not need any nutritional support during the night in the form of milk feeds. A bedtime milk feed is always a good idea as it is a lovely end to the day where you can spend some quality “cuddle” time with your little toddler. Try to ensure that the feed is completed before your child falls asleep. Remove the expectation of this middle of the night “event”, and he will no longer wake up for it. So, if he is used to breastfeeding or getting a bottle of milk or juice in the middle of the night, stop offering it, and he will soon stop waking for it. As long as weaning off the breast is done with a lot of emotional support from all the child’s parents, nanny etc, it should not interfere too much with his sleep patterns. However, if he has a sleep association with the breast, he will need plenty of reassurance when he wakes in the night expecting a feed !! Stay with him, hold him and rock him until he is asleep (no matter how much he protests!) Do this each time he wakes. Offer him sips of water in case he is thirsty. When he is happy to comforted without a feed, but still needs you to be there, begin sleep training. Be firm and loving, and most of all consistent. Yes, it is as simple as that! It is important to implement sleep training with each waking session no matter how much he protests. If you are trying to break a feeding-to-sleep habit, pick him up if he does not settle, and gently rock him until he falls asleep, no matter how much he protests. Only place him back into his cot when he is asleep. Repeat this each time he wakes. It may take a few sessions (maybe a day or two) for him to learn that he doesn’t need to feed in order to fall asleep. With a bit of luck he will simply stop waking, but he may need some persuasion to go back to sleep totally unassisted, so you will need to move to the next step when you are ready. • Pick him up and hold him close until he stops crying. As soon as he is calm and drowsy, but not asleep, place him gently back into his cot. Say some soothing words and walk away from the cot, even if he begins to protest. • Stay away from him for one minute, then return to his side if he is still protesting. • Pick him up and settle him (no matter how long it takes). Reinforce the sleep object. When he is calm and drowsy, but not asleep, place him gently back into his cot. • This time, wait for two minutes before going back to him if he is still crying, then repeat your calming strategies. • If necessary, repeat the procedure, each time adding two minutes of crying time before going back in to soothe or settle him. • Keep going each time he wakes in the night, starting from one minute of separation at the start of each session. The hardest part, of course, is to follow through with the behavior management each time he wakes in the night expecting to be fed or rocked back to sleep. Persevere, it will be worth it!